Flash’s lifespan has nearly come to an end. Flash has been the basis of numerous websites such as Youtube,Facebook or Amazon, just to name a few. However, over the last year it has emerged that there are serious flaws in Adobe’s flash player that hackers are exploiting. As a result Google has come out and announced that this year they will start blocking flash for all websites bar for the top 10 domains using flash. Among those sites are Twitch, Yahoo and Amazon, but that list will be reviewed and updated often. 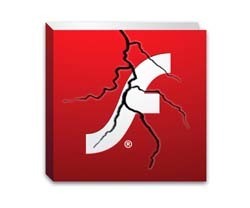 Even Adobe themselves are recommending that you stop using Flash. So now we are left with a new question, what are we to use as an alternative to flash? What is the best alternative to flash? The main alternative and the one that is more than likely going to substitute flash is of course HTML5. • It runs on any and all platforms be it tablet, phone, desktop, and on any OS. • It loads content faster and the animations are much smoother making it more appealing to potential customers. • All this coupled with the fact that it’s much more secure than Flash. The entire digital magazine market utilises Flash as the primary display format. The majority do offer HTML5 solutions but these all just display images of the PDF pages and subsequently when you zoom in the quality starts to deteriorate specifically for the text. Flash is predominantly used because it automatically vectorises text ensuring that the quality of it is perfect when you zoom in. Something obviously essential to magazine publishers. Does that mean that if I use just HTML5 the quality of the text in my publications is going to suffer? Not necessarily. Until this week, a solution that offered publishers an identical quality experience on HTML5 to the one that you can get on Flash was non-existent. And we say until this week because the new Version 8 of our flipbook software is now ready for you to try. This latest version has the ability to create vectorised text in your HTML5 editions, an unheard feature until now. In fact in this release we are completely removing flash from our software. If you want to see for yourself the quality of the new HTML5 magazines, try the links below and click on a page to zoom in. You can compare it to the Flash version too. Apart from a digital publishing software, 3D Issue also offers other marketing and content relation products such as hubs and apps. If you need more information please contact us at info@3dissue.com.